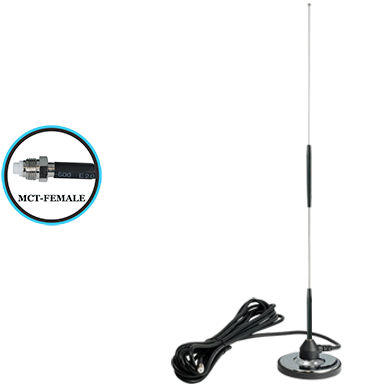 26" enclosed dual coil antenna with 3.25" extra large magnetic base and quad shield cable. 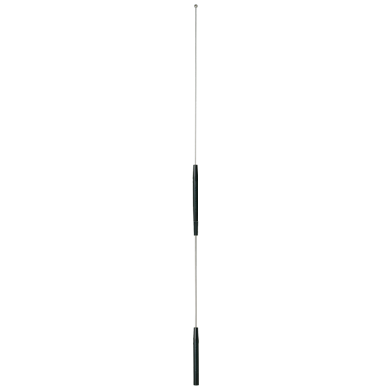 Best suited to vehicles with obstructions and vertical height is required. 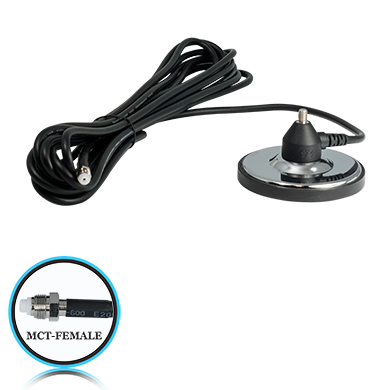 This antenna has 18 ft of quad shield coax cable and an MCT female connector.